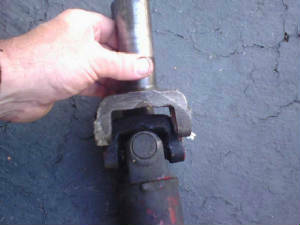 I measured my old drive shaft to see how much free play I had with the slip yoke all the way into the back of the T5. I only had .500 inch between the 3rd member rear cup. The recommended free play is .750 to 1.00 inches. I ordered a 51 inch Aluminum DS from Street or Track. It looks, fits and is made very nice. 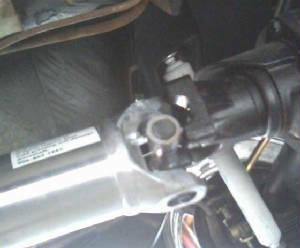 I did need to get a 1310 to 1330 U joint because I decided to run a T5 slip yoke because I had it. I purchased the new U joint from NAPA. You can run your old slip yoke with NO problem! 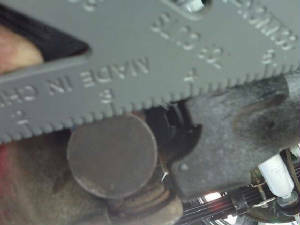 Just measure what you actually need before you order or cut your driveshaft. The old wife's tale of taking off 1 inch is NOT true. 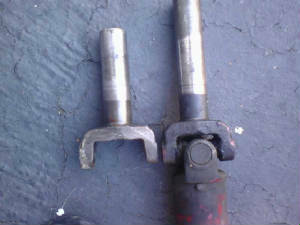 T5 slip yoke on left. 1310 to 1330 u joint. 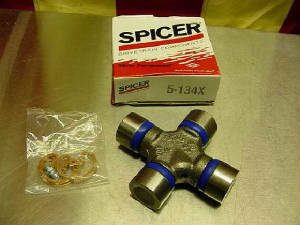 Spicers come with a grease fitting. 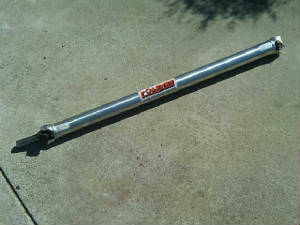 New drive shaft with .750 of freeplay.